They are all on current commercials. Yes, Lollipop is now an ad for Kohls, State Farm Insurance has A Bushel and a Peck playing in the background, and The Wanderer is used by Toyota. Now, I realize that many people never see a TV commercial. They watch Netflix or Hulu or whatever else offers commercial free programs, but I actually enjoy them. Yes, you heard me right – I enjoy watching commercials. I find many of them amusing, and now that some are using old songs that I grew up singing, I enjoy them even more. 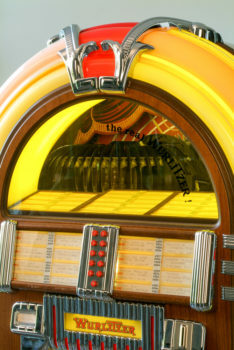 It led me to wondering why – why are so many old songs being used on television commercials today? The only thing I can think of is they are targeting my age group. I can’t believe that anyone under the age of 40 would even know any of these songs, let alone relate to them. But for me, it brings back lovely memories and warm feelings. It actually makes me stop and take notice. It makes me remember their product and gives me a good feeling about it. Well, at least that’s my theory. What about you? Why do you think commercials are turning to oldies but goodies to sell their products? Never noticed? Check it out the next time you’re watching your favorite show. You just may hear a song that brings back memories you’ve long forgotten. Who knows? You may even begin to enjoy watching those commercials like I do. Nearly 45 years ago, I walked across a huge stage to accept my college diploma. Graduating from Eastern Illinois University was exciting and melancholy at the same time. Although I was proud of what I had accomplished, I was NOT ready to leave the world I was living in. I LOVED going to EIU. Learning and laughing and experiencing life for the first time on my own helped to mold me into the woman I am today. It resurrected an independence in me that I didn’t even know existed and I found confidence to face my new life. On the other hand, I didn’t want to leave the safety of my friends and everything that had become familiar to me. Not really having a choice, I took that diploma, packed my bags and headed out into the world of grown-ups. My life took me in many different directions, but my path never led me back to Charleston, Illinois and Eastern Illinois University. That is, until this past weekend!!! Through the power of social media, and in this case, LinkedIn, I commented on a post written by someone who worked at EIU. Through that comment, a couple of lovely young ladies reached out to me, visited me in my home town, then invited me back to my Alma Mater for a football game. How could I resist. Stepping back on campus after all those years opened a floodgate of memories. I was treated like royalty and taken on a tour of my old dorm – even my old room. That was followed by more tours, dinner at the Victory Suite for the football game, and even a copy of the yearbook from my senior year. I felt special and grateful and overwhelmed at how friendly and genuinely happy people were to see me. 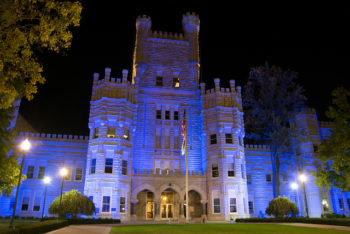 So, today, I’d like to sincerely thank Eastern Illinois University for making me Queen for a Day. May everyone experience a day as special as you created for me. And may I be able to pay it forward and create such a memorable experience for someone else. If I could do it all over again, I would ask him about his garden. 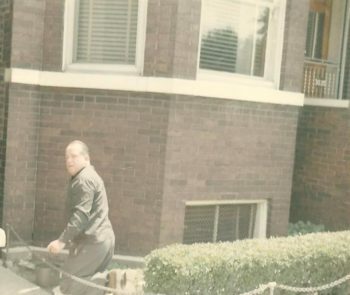 This is a picture of the front yard when I was growing up on the south side of Chicago. Certainly, not a lot of room. Yet my father took great pride in it and found little nooks and crannies to plant bushes, brightly colored flowers, and even a few decorative pavers. He LOVED planting and nurturing and showing off his garden. And as I think back to my younger days, I never asked him about it. That would be one of my “do-overs.” I would ask my Dad to show me his garden, small but mighty. I’d love to know why he enjoyed it so much and why he found such peacefulness in the geraniums and marigolds. More than anything I would love to connect with him over something he enjoyed doing so much. Of all the “do-overs” I’d like to have, this is the one that tops my list. So now, when I get together with the people I love, or even those that I just like, I think about asking them about their passions and hobbies and what makes them happy. I try to enter into their world, if only for a little while, and see life through their eyes and learn from them. In the process, I’m hoping to reduce my list of “do-overs.” I’m hoping to find that peacefulness my Dad found in his garden. Think about that quote. Failure is necessary. Mistakes, no matter how painful they can be at times, are learning opportunities, helping us make improvements and commit to doing it better the next time. It’s only through trying, learning, and trying again that we begin to move forward. I like to think of it as Fail Forward. Just the image of that helps me feel a little less threatened and a little more willing to risk rejection. 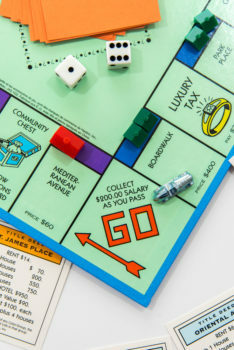 I picture a Monopoly board and that my marker needs to move forward in order to pass Go and collect $200. I have to risk landing on another players property and pay them rent. But no matter what I’m feeling or fearing, when it’s my turn, I have to roll the dice. I have to risk Failing Forward. To help me Fail Forward more successfully, it helps to use the word “curious.” If you haven’t tried this before, check out:https://nancydepcik.com/one-word-can-change-everything/ . It can literally change the way you deal with your fear of making mistakes. So now it’s time to get back to my Monopoly game of life and my chance to Fail Forward. I’ll see you at “Go” where we will have another opportunity to collect our $200 – our reward for trying and trying again.